Something like a quarter of the world's women's international rugby sevens teams will be in action this weekend in three different tournaments across Europe - its probably the biggest single weekend of international rugby since the World Cup. In Rome on Friday a two day tournament will kick off probably (its not been confirmed yet!) featuring France, Spain, Italy, Netherlands, Germany, and Brazil, plus "Aotearoa Maori" (the nearest thing there is to a Black Ferns sevens team, being as NZRFU will not field one), and a US/NZ invitation team. Aotearoa Maori (who, despite their name, are not a Maori team but rather an unofficial invitation made up of mainly, but not exclusively, leading New Zealand players) are the holders, beating France last year - but this year Netherlands will be the team to beat. The Dutch - without the Canadians to frustrate their ambitions - should make the final, but whether they will go the extra step will depend on who Aotearoa bring with them. In Zanka, Hungary Europe's third tier of nations will be competing the continent's Division 3 title (or "Division B" as it is also sometimes called... just to confuse everyone! ), and promotion (for the winners). The hosts will be the overwhelming favourites - only Poland are likely to off a significant challenge. Indeed, Hungary should not be competing in this tournament at all. Finally in Richmond, London the Scrumqueens Elite Women's Sevens features Sweden and England, as well as several club and invitational teams. What is remarkable is that this will be the first time England have ever played in a sevens tournament in England - and, if they play Sweden, it will therefore be their first ever home sevens international (they did play an exhibition game at Twickenham in 2008, but that was against Aotearoa Maori, so was not an international). If you are in London on Saturday it'll be worth going along - play starts at 9am. Incidentally, do not expect this tournament to be a walk in the (Old Deer) park for England. Teams have not been announced yet, but it is likely that the English team will be based around the recently announced (and young and, generally, inexperienced) sevens squad. Sweden, on the other hand, have reserved most of their best players for sevens this year - there are more players from the World Cup in the sevens squad this year than the XVs. Also, though RFUW are now beginning to take Sevens seriously, it has always been seen as a bit of end-of-season fun - whereas for nations like Sweden its a very serious game indeed. U13s: "It's like the game they play in New Zealand". Really? With RFUW reigning slightly back on the worst elements of their panicked (well, what other adjective would anyone suggest?) introduction of the new U13 game, and with a David Rose promising that a DVD will be sent to all clubs very shortly explaining it all, the debate is rather on "pause" at the moment. The girls U13 game is basically the same as a set of proposed (but, as yet untried) rules for the U10 mini rugby and one justification for this new game is that it is based on the way the game is taught and played by minis in the southern hemisphere. Or, in other words, if New Zealand play it that way, then obviously we should too. Unfortunately there is one tiny problem with this - it does not appear to be true. Take a look at this video of an U8 game - yes, UNDER 8 GAME - filmed in New Zealand less than a year ago. I may be wrong here, but isn't that kicking I can see? And at least one line-out? And what looks very like rucks? And... well, its definitely not the tag (or tag-and-grab) game being proposed is it? OFFICIAL: Syd is one of the best rugby players in the country! Brilliant news - our own Sydney Gregson has been selected for the national U15 Talent Development Group, as well as the Hertfordshire Talented Athlete Programme. Or, to cut through all this jargon, this means that Syd is - officially - one the best 30 or so rugby players in the country in the U15 age group. She is also the first ever "home grown" Letchworth player ever to reach these heights (Hayley Guilder and Jess Robinson were called up for trials, and Sasha Acheson was first selected for the TDGs while playing for another club). As a result Syd will have a busy summer of training and development from some of the country's top coaches, followed by a year of fitness support from the top sports scientists at the University of Hertfordshire. It also means that - assuming she carries on playing beyond junior rugby - Syd is well on the way to an England cap one day. A quick look at a few TDG squads from past years seems to show that maybe 20% of players go on to play for at least the national U20 team (its a bit early yet to say how many get full caps). "The English? They are robots." 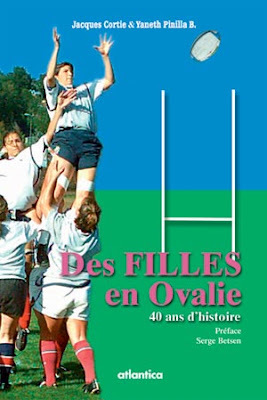 The author of one of the few histories of women's rugby ever written - Des Filles en Ovalie - has been in touch. Its the book we've has been serialising here, but instead of complaining he has sent a free copy! It is in French, obviously (in fact no history of women's rugby has ever been published in English! ), but thanks to its well ordered layout, Google Translate, and some exceedingly basic and barely remembered French language skills, its quite possible to get the gist of the book. Most of the actual history the book covers has already appeared on here (see below), but there are also some amusing - and even probably quite controversial - bits later in the book, where it reviews in some detail the state of French women's rugby at the time it appeared (2006). For English readers the best bit comes on p126 where the author, in a very relaxed chat with several senior French team officials, gets onto the subject of doping and the use of illegal performance-enhancing drugs. This, of course, never happens in France we are assured - but elsewhere? Remy Louis, at that time the French physio, had some real suspicions. "For two years [around 2003-2005] the French team has worked really hard with targets and preparations at a high level and yet over the same period the English have changed a lot physically. There must be some chemistry involved here." Team doctor, Nicole Darrieutort, replies "The English women? The are robots" before going onto say how he warns his players about the dangers of drugs. However, the best bit comes next when French team coach Philippe Laurent sums up what is wrong with his team's biggest rivals - "Nous, en fait du rugby feminin pour filles et les Anglais font du rugby masculine pour filles!" Or, roughly, "Here, we have women's rugby for women and the English have men's rugby for women!" I'll leave it for you to decide - regardless of what was intended - whether we should take that as a complement or not! 23rd chapter of the summary of the history of women's rugby in France, from the book "Rugger Girls"("Des Filles en Ovalie"), written by Jacques B. Corti and Yaneth Pinilla Foreword by Serge Betsen. Published weekly(ish) by French women's rugby blog Des Filles en Ovalie. The France team was now definitely on an upward trend. Despite the small setbacks, especially the loss, after the 2002 World Cup of key players like Nathalie Amiel, Annick Hayraut or Delphine Roussel, Les Bleues continue to renew themselves and to grow. The showcase of women's rugby is now a solid and reliable. Behind, it is still a mess. The clubs have recurring problems: finance and staffing. The dominant impression is that everyone works alone in their own corner. Another development that is not necessarily accepted very well: the needs of the French team set the pace for the development of women's rugby. Bernard Delfour, who started with Gennevilliers in 1984, lived through all the recent twists and noticed that there are few written records. Especially in communication: "We learned most news unofficially, before the papers that came to the clubs. " The quality of communication between the clubs and the French team was in decline. "With Marie-Céline Bernard there was a lot of dialogue with the club coaches. Daniel Dupont, too. Since 2002 we felt a cut. Nothing was known. Some girls announce they are training, some not, and we do not hear about trials. " These changes contribute to a feeling of nostalgia or regret among some in the game. Claude Izoard, vice president of Violettes Bressanes, linked the changes to his feelings: "I feel that the old values have been lost. People are less supportive. 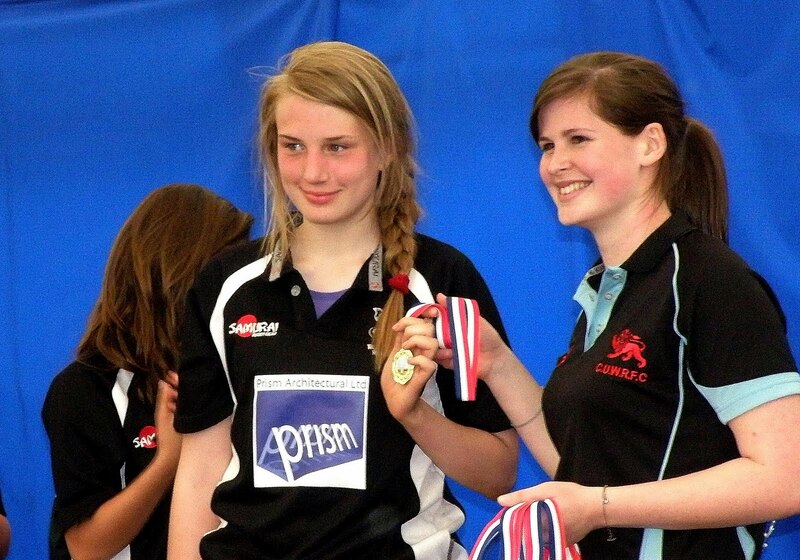 One has the feeling that girls are much more individualistic, just say that they are rugby." Possibly the biggest ever European international sevens season starts this weekend in Amsterdam. Twelve international sides will be taking part in the biggest women's sevens tournament ever held in the Dutch capital - three times as many teams national teams than entered last season - along with another 12 club or invitation teams. The line-up includes the Netherlands, plus their development team, "Samurai" (largely England), Spain, Canada, Brazil, Italy, Portugal, Germany, Poland, Norway, Georgia... and Old Albanians Saints, who may just be wondering what they have let themselves in for. Favourites will be either the Dutch or the Canadians, though Samurai should be strong (if maybe a little under-prepared compared with the rest), while South American champions Brazil are not used to losing. In a couple of weeks time everything moves to Rome where an even more impressive (if as yet unconfirmed) line-up is being suggested - including Italy, Brasil, China, Spain, Colombia, Israel, Germany, USA, France, Netherlands, and Portugal, plus semi-official Australian, New Zealand and England teams (though the latter seems doubtful as England are due to play in a tournament in Richmond on the same weekend). 22nd chapter of the summary of the history of women's rugby in France, from the book "Rugger Girls"("Des Filles en Ovalie"), written by Jacques B. Corti and Yaneth Pinilla Foreword by Serge Betsen. Published weekly(ish) by French women's rugby blog Des Filles en Ovalie. In April 2002, French manager Daniel Dupouy, in an interview in Le Monde, had been critical of the support women's rugby received. A few months later, in the same newspaper, he was again stating bluntly "the FFR should say clearly if it cares about girls and what it expected of Les Bleues." Daniel Dupouy left the post soon afterwards. However, he completed 2002 with a Grand Slam in the first Six Nations, and a third place in the World Cup, after losing in the semi-final against the "Black Ferns" of New Zealand women, the future champions. Philippe Laurent replaced Daniel Dupouy, and with Benoît Oszustowicz, continuing on lay the foundations for four seasons with the A squad. Great News! All the emails and other pressure on RFUW have had an effect. As you see in the letter sent today to all clubs (below) current U12s (ie. current Year 7s) who already play rugby will NOT now have to play in the new U13 band next season but will, instead, be able to straight into an U15 squad - ie. just like they have for the past five or six years. Girls of the same age who are new to the game or not registered on Rugby First (and its not the most accurate of databases, so get your club to check!) will have to play U13 rugby. However - note that this is not automatic. Any girls affected must be registered with Rugby First, and must make a formal application by 15th July (see the links below). All we need do now is make sense of the rules... or find a set of rules that makes sense (see earlier posts). For Season 2011/12 any female players aged U12 and registered on Rugby First in 2010/11 season can play within the U15 age band. All players must be 12 years of age on the 1st September 2011 and have played club rugby during the 2010/11 season under the RFU Continuum, only players that were registered on Rugby First before the season closed on the 2nd May 2011 will be approved to play U15 Girls rugby. 1. All clubs that have affiliated girls sections at U15s can apply to the RFUW to allow those U12 girls previously registered (in season 2010/2011) on Rugby First to play in their U15 team. 2. Clubs must follow U13 Player Application Form link and supply the required information, which in turn can be checked against Rugby First before approval is granted. 3. Any application needs to be with the RFUW no later than 15th July 2011. 4. Any non-registered players or new players to the game will not be permitted to play U15 rugby and would start in the new U13s age-group. 5. To support this we have expanded the Club Development Toolkit Fund to have a specific line of funding available to support programmes and resources relating to the development of U13s. The funding is available through application via Club Toolkit Fund Application Form and must be received by 10th June 2011. If you require any support or assistance with your application, please contact your WRDM. 6. Resources to support the coaching of the Tag to Tackle game will be available through your local coaching network over the summer. If you have any queries at all please contact your WRDM in the first instance. Rugby this weekend: Support your county! As a rule, men's rugby doesn't receive much coverage on this blog - on the not unreasonable grounds that it gets huge coverage elsewhere and can more than look after itself. However, I'll make an exception this weekend... because the men's county rugby team are one step away from their first ever County Championship Final! After two astonishing, unprecedented, away wins in Cornwall and Kent, Hertfordshire are just one home win from the Twickenham final (against either Lancashire or Cheshire) - and in the county's 75th anniversary year as well. Admittedly their opponents are Gloucestershire - attempting to reach their 34th final - but Herts' performances have been far better than Gloucs. so far - and with home advantage and (hopefully) a big crowd behind them anything is possible. The game kicks off at 3pm on Saturday at OAs - with the women's and girls' season now at an end, why not go along and cheer them on? U13: The reason for the panic? One of the main questions that everyone is asking about the U13 announcement is - Why now? Why so suddenly? Why no warning (apart from a cryptic passing comment in a newsletter most people never saw)? Could be it this - Rugby union faces £1.1m funding reduction. The latest survey of sporting participation has shown a fall in levels of participation and - as a result - rugby is going to lose money. Most of this loss will be on the male side of the game, but this is less of an issue as (male) rugby union in England is quite a wealthy game. Women's rugby, on the other hand - or, more to the point, the RFUW - is utterly dependent on the money it gets from Sport England. A reduction in funding will hit RFUW where it hurts - at the centre, where most of the money is spent. The only good news is that the effect of funding reductions on the game at club level will be tiny - as only a tiny amount is spent there (see here to see where RFUW spends its money). The vast majority of RFUW's expenditure goes on various elite player initiatives - divisional rugby, Super 4s, TDGs, and - of course - the England team. There are the various Regional Development Officers - who all work incredibly hard - but given that they have a hugely broad job description, and that there are only about four of them, the amount of impact they can have on the average single club will be barely measurable. In fact the most significant and influential role RFUW plays at "grass roots" is the general promotion of the game - getting it at least occasionally noticed - which is all the work of RFUW's one part-time, but rather brilliant, press officer, Julia Hutton. In fact there is a rather delicious irony here. Some of us have been moaning for years about how little practical support girls clubs have been given. We have pointed out the huge turnover of girls clubs every year, and the associated waste of knowledge, support and - above all - players, and the fact that RFUW did nothing to investigate it, never mind stop it happening. We've also been moaning for five years about the loss of girls in mini rugby, and the need to come up with something to keep them in the game. We complained about the effect of taking so many players out of the club game for regional rugby - only finally sorted out this season. We have spoken of the need for a broad based pyramid to support the top. And we've been ignored.. The reason was the RFUW took a concious decision long ago to concentrate on the development of elite players - future England stars - ahead of supporting the recreational game for the ordinary player. They never quite put it like that, but if you were not good enough to play for your regional team, or just plain not interested as you just wanted to play the game with your friends, then RFUW have made it plain that they were not interested in you. The result was predictable. The huge influx of players following England men's success at the 2003 World Cup was asset-striped to find the elite, while the rest were allowed to drain away. The result is the development of a number of hugely talented international players and squads... and shrinking recreational player base. 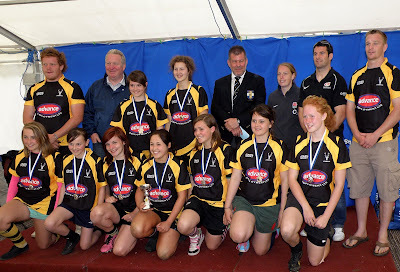 This year the Herts 7s returned to where the tournament was first held in July 2004 at Camelot RFC in Hemel Hempstead. With the ground rock hard from weeks of dry weather, it was a very good thing that at least a little rain fell in Hertfordshire the day before the tournament but I suspect that I was not alone in being pleased to have the weather dry and warm on Sunday. The first match was against Hertford and, after Letchworth had made their traditional slow start and then woken up, it proved to be a pretty even contest. However, by that time, Hertford had a decent lead which they did not relinquish even though Letchworth fought back to within 3 points by the final whistle - and secured a bonus point which would prove to be very important later in the day. For the second game against Guildford & Camberley, Letchworth had a change of strip ... well, turned their shirts inside out which amounts to the same thing ... to avoid a complete muddle with both teams in virtually identical colours and shirt patterns. The change of colour didn't quite do the trick for Letchworth as they, once again, ended up second best in a closely fought game. However, with the score at 17 : 12, Letchworth again secured a vital bonus point. With only 2 bonus points to show for their efforts in the first two matches - and with the tough game against Worcester still to come - the third game against Oakmedians A was a 'must win' fixture if Letchworth were to avoid bottom place in the group. As we have seen many times in the past, the Letchworth girls take while to get going but then go from strength to strength through a tournament and so it turned out again. The match against Oakmedians was another close encounter but, with Letchworth starting to play with more cohesiveness, they came out on top and, courtesy of the conversions to two of their three tries, a 9 point victory margin to deny Oakmedians their bonus point. The final group game against Worcester A was never going to be easy but the Letchworth girls gave it a very good shot and contested keenly throughout. The final scoreline of Letchworth 5 v. 41 Worcester A showed what we already knew - that Worcester are a very good side and that Letchworth have some way to go to match them but it also tells us that Letchworth don't give up and that they can and do score against the top teams. At the completion of the group stage, 3 teams in Group 4 had won only one of their games and the bonus points were the deciding factor. As Letchworth had 2 bonus points, they were placed 3rd in the group and went through to a Bowl semi-final against last seasons 'cluster' partner, Saracens. 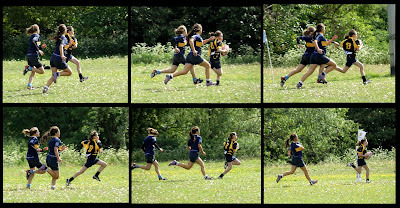 The Letchworth girls had really warmed to the task by stage of proceedings and were playing their best rugby of the day. They took control of the game from the outset, scoring early on and maintaining pressure thoughout to earn a place in the Bowl final. The Bowl final was between Letchworth and Hertfordshire U15s league winners, Royston. This was an entertaining game with both sides pressing throughout. Letchworth took an early lead and were looking comfortable by the interval but Royston came back strongly in the second half. Letchworth responded and were able to hold off the challenge, eventually running in another try of their own to make the game - and the Bowl - safe. Letchworth manager, Dave Rae, with a camera ... clearly Dave is planning on getting loads of good pictures of the rugby. Also at this years Herts 7s was last year's Letchworth U18s captain, Nikki, who was on hand to present the medals for the Hertfordshire U15s league to Royston RFC. Having played in all the previous seven Herts 7s tournaments, a little thing like being over age was never going to stop her turning up this year! With all the excitement elsewhere I missed last weeks episode. So here is a bumper two issue number! 20th and 21st chapters of the summary of the history of women's rugby in France, from the book "Rugger Girls"("Des Filles en Ovalie"), written by Jacques B. Corti and Yaneth Pinilla Foreword by Serge Betsen. Published weekly(ish) by French women's rugby blog Des Filles en Ovalie. 1997 marked the arrival at the head of the national team of Daniel Dupont, replacing Jacques Macou. To begin with he oversaw two training courses - a three- get together around All Saints (early November), and two days at Christmas. Then he saw his first game. It was at Villeneuve d'Ascq, against England winning 13-5. His observation: "Things cannot go on like this." He sought solutions to the many relationship problems between the women and the FFR and attempted to develop a better structure for the French team. He began by expanding the staff with a physiotherapist, and imposing a cocktail made of high quality, passion and technique. Two games, different in their outcomes, contributed to the overall development which is then embedded in the France team. On the occasion of the Third World Cup, the French were taken to the wire by an inexperienced Australian team in the quarter-finals 10-8, before falling to Canada - again by a tiny margin - to score in the 89th minute. Dupont combined sporting knowledge with inter-personal relations, and his work was a major milestone for the national squad. Daniel Dupont continues to work to negotiate and calm tensions. He pushed forward work to develop a women's international calendar. In 1998 the I|RB officially recognizes the World Cup, and it was decided that a FIRA European Championship would be held every year except the years of World Cup. Finally the Six Nations began in 1999. The new century began with a thunderbolt positive. Daniel Dupont developed a game plan for the team to France for the period 1999-2002 - and The Ministry of Youth and Sports recognition, dated January 24, said that women's rugby is a top-level sport and national appearances should be rewarded with Caps. But before these two elements can begin to affect in the life of women's rugby, there are still problems to resolve. In March 2000 a warning shot shakes the Fremch team. "Enough is enough, otherwise we will not continue" , threaten some girls. Deep personal disagreements, endless stories, risked derailing movemengts towards normalcy and improved development. Daniel Dupont added Benedict Oszustowicz to form a France A squad - and the stated objective of the two technicians is to win the 2002 World Cup. They establish among other things, video analysis. "It was a big change so we combined with a written document." Daniel was also far from quiet in other area. On 7th April he was interviewed in Le Monde. He announced his plans and spoke about the positive work taking place in most clubs. But he also empty his feelings makes waves: "We have to spend so much time convincing everyone, particularly within the Federation. And it is wearing." He also says that he and the girls distressed about constantly having to justify why they exist: "We cannot achieve perfection, if no-one will make a case for us." Like the proposals or not, one of the key things to note is the care with which this is being trialed by RFU - not thrown together and forced on everyone. Nothing will go national unless it has been proved to work. And the U10 rules - on which the RFUW's U13 rules are based - have never been tested yet. The following has been received from Dave in Morpeth, near where the new mini rugby game at U9 has been piloted. This has some relevance as the rules for it and the U10 game that they will try out next year are very similar to the proposed U13 girls rules (indeed the U10 rules fill in many of the obvious gaps in the U13 rules that RFUW circulated). "The proposed new rules have been trialed in Durham for the U9's and guess what?? "They were a great success"...One of my u9's coaches who is an ex-player does says that when they play a Durham team the handling is better but that may be because they have not been spending time teaching the players about ruck/maul/tackle and contact! But those same teams became unstuck when a tournament was played outside of their county. What is of interest to many clubs is the idea that at the mini/midi level of rugby the clubs can set local rules for instance there is no kicking allowed at u11/u12 in Northumberland and at the tag level there is a 4 pass rule after every breakdown and a double tag rule for turnovers. If clubs at mini/midi level can influence their CB's to experiment with local rule variations then we can at least TRIAL the ideas in selected CB's for girls rugby. The continuum does not allow scrag or swinging tackles because they are dangerous [though this does not appear in the actual rules]! The continuum also allows for girls only rugby teams to be formed at the U12 age group level - but why have that when only a few clubs in the country actually got an U12's team! The reason may not be anything to do with player numbers or recruitment it may be more to do with a lack of volunteers willing to manage and coach! When the rfuw look at the girls section rep it looks healthy but do the maths!!! ps the rfuw north of england rep knows my views and Vicky Putson has been helpful but...."
Take note England. How is this for a neat idea, New Zealand? And France. And... well, practically everyone. It seems that - before and after the final, which was attended the Presidents of the Spanish RFU and Galacian regional RFU - Spanish players and supporters staged a demo on the pitch demanding equal funding with the men! Even the Spanish captain - Marina Bravo (on the right, third from the bottom). From what I can work out (and I would be delighted if any Spanish speakers could correct this) the demonstrators point out that the Spanish men's team had three times longer to prepare for their European championship this year. Why? The bottom line also asks for equal levels of funding for men and women. And - especially given their relative levels of success of the men's and women's teams - who can argue with this? MANDADO [the President of the Spanish RFU]: Enough is enough! Some great pictures from the final have also appeared. If you were wondering what Syd was talking about on Radio 1 yesterday (see "Sydney on Radio 1", below), here's a photo of the the Letchworth U15s with the Herts 7s Bowl at Camelot RFC. Match reports and more photos to follow shortly. TOM DEACON: Now Sydney, what are you up to? SYD: We're on our way back from a rugby tournament. T: Oh, okay. And how did it go, Sydney. T: Oh, congratulations. And.. erm.. who are you with at the moment? T: Are they their first names? Wonky? What was the middle one? S: Wonky name is David..
T: And where do you play? S: I play in the centres. T: Okay. I'm gathering... my rugby knowledge is pretty limited.. that's just in the middle. So do you run at people and sort of take 'em down? T: Okay. You're pretty good at that? T: Okay, where are you at the moment? Are you at the place, the tournament? T: Okay, thank you. Geographically I know exactly where you are right now. And what are you on - are you on a coach, in a car? T: There's just five of you ... em.. and ... they're very quiet, the people in your car, they don't seem very happy for winning a rugby tournament. S: Yeah - be more happy! T: That's it! That's the sort of level of excitement. T: They're very, very excited. Now Sydney, em, all those excited people in your car, you've won your rugby tournament - congratulations for that - I've got a question for you. Do you like Glee? T: Really? Oh okay. Rugby's long gone now, you are talking about Glee. We're about to play the track from this week's episode. Did you watch it? S: He said "Rachel rocks"
S: He likes Finn, then! T: I....er...I...Finn, then. Listen. I'm going to play Turning Tables right now, okay? So you can pottle back home now on your journey. Congratulations on winning! England stage their Sevens trials next weekend. However, if you couldn't make it, or maybe want to make a bit of money out of your rugby, then there is an alternative. All you need is to be aged between 17-25 - and to have are some Dutch relatives stashed away somewhere. Then you too could become something unique - a professional women's rugby player. The NRB (Netherlands Rugby Union) - along with the NOC (the Dutch Olympic Committee) - are taking women's sevens rugby very seriously indeed. One of the world's top sevens nations, the Dutch RFU have already removed their leading players from all fifteens rugby. In addition, at the end of this month, they will be staging trials for "Rugby Talent" - open to any sportswomen from any sport (they are partcularly targeting football, athletics... and judo), who will be fast-tracked into sevens rugby. If the team makes progress and remains a medal prospect the leading players will receive full-time funding from the NOC, right up to 2016. But they have to perform on the field. The NRB have been set targets and apparently the first - in order to get the funding to become full-time professional sportswomen - requires them to finish in the top three at this year's European Sevens in July. Its highly doubtful that any women's rugby team will ever have played for the sort of reward the Dutch will be faced with in Bucharest - and there is every prospect they will succeed. A very kind draw means that - realistically - only France stand between them and a place in the final. So if you've got a Dutch granny somewhere, sign-up now! The news out of north-west Spain is that, after a titanic and nail-biting European Trophy final between two well matched sides. Playing in front of a near capacity crowd of 2,500, providing one of the best atmospheres since the World Cup, England A have won the 2011 European Trophy. Playing in sunny but blustery conditions, Spain and England A were still level at 0-0 at half-time. Ten minutes into the second period England narrowly missed going ahead, Ceri Large hitting the bar with a penalty, shortly followed by Jane Leonard going close when she picked up and drove forward, but she spilled the ball to end England’s charge. Then, with 20 minutes to go, Spain - playing without their captain and scrumhalf (suspended for two weeks due to foul play in the previous game) - broke the deadlock with a Patricia Garcia penalty. Fran Matthews came close to scoring with a nice break a few minutes later, but she was brought down just short of the try-line, while England’s forwards also came close on a couple of occasions with some threatening line-outs, catch and drives. On every occasion though Spain’s defence was immense and England couldn’t break through their wall of defence. In the final ten minutes of the game England really ramped up the pressure. They came close on a handful of occasions but were kept out - until some good kicking put England in a threatening position. With two minutes left a scrum in the corner gave England the opportunity to drive forward and controlling it well England pushed over with Sarah Hunter at Number 8 making the final decisive move. 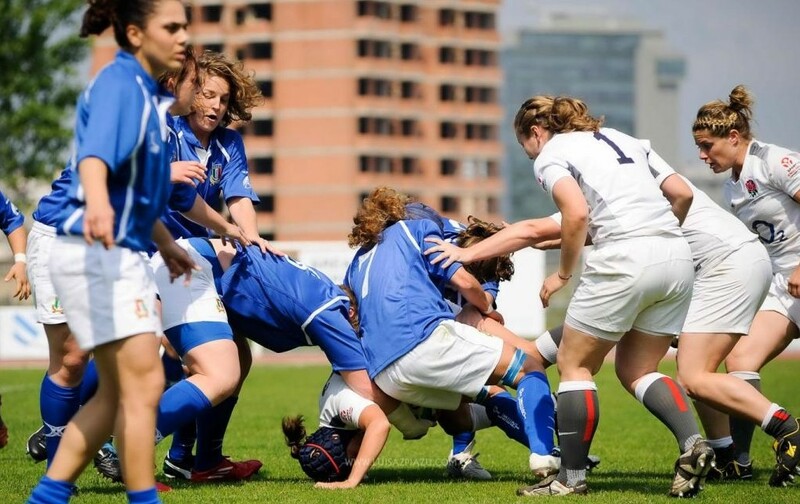 Scrum half Georgina Rozario kickied the ball out of play immediately after the restart and England had stolen the title in front of Spain’s home crowd by 5 points to 3. Elsewhere, France A beat Italy 17-7 to take third place - almost all of the points coming in the first half. France roared to a 14-0 lead in the first 18 minutes with tries from Mayans and Parra, and looked like the were going to run away with the game, but Italy regrouped and pulled the game back, Flavia Severin scoring near the end of the half, the teams going in at 14-7 to France. However Di Muzio penalty six minutes into the second half increased the gap to two scores, after which the Italian revival petered out. Netherlands were pushed all the way by Sweden in the vital fifth place game - vital because victory would give the winners a guaranteed place in next year's European Championship. Though Netherlands lead from the 21st minute, Sweden stayed within striking distance until the final ten minutes, when two converted tries saw them Dutch home 21-5. Finland's hero of the day was their captain, Minna Raatikka, who scored their first and only try of the tournament. However it was not enough to prevent Russia from taking 7th place with a 22-5 victory. U13s: Researchers in ivory towers to blame? Thanks to Lisa for pointing me at this - but the girls U13 scheme (and the massive changes to mini rugby that are in the pipeline) seems to stem from some ongoing research at the University of Exeter, funded by RFU, and designed to increase participation in the game. This mainly affects mini rugby, but the overall philosophy that simplification = more players is so very similar to the RFUW's U13 bombshell that you cannot help but conclude that there is a strong link between the two. In short, this is the "evidence base" that David Rose et al are using, the "experts" they are listening to (as opposed to the hundreds of coaches and parents to whom they have nothing but closed ears). Note that this is "ongoing" research - its not remotely completed yet - the link above to the University's press release on the subject was only issued in March. Could I suggest that the researchers may be more open to views from clubs than RFUW are - and that it would be worth including them in any attempts to get either the U13 or mini proposals amended? Dr Mark Wilson would seem to be the main target, probably via this email address: sshs-school-office@exeter.ac.uk. U13s: Not only unwanted, but confusing... and dangerous? This is going to be a bit long. Bear with me. There is a basic fact about bureaucracies - all bureaucracies. They are incapable of error. It does not matter how wrong a decision appears on the ground - how unwise, how unwarranted, how disastrous - once the decision has been made it cannot be unmade. That would show weakness - it would show that a mistake had been made. And bureaucracies are incapable of making mistakes. In this regard RFUW is no different to any other organisation. As a result, despite the unprecedented uproar (well, I have never seen the like. Leagues, National 10s - drops in the ocean in comparison) it is highly unlikely that they will back down. So there is every probability that some sort of U13 girls rugby will have to be attempted from September. So maybe its time to look at the rules - and that is exactly what many coaches are starting to do, and one county coach (I'll say that again - a county coach. At least Level 2, if not higher. Someone with years of experience in junior rugby who knows what they are talking about) last week chaired a meeting and they have passed on to me their main conclusions. What qualification do I need as a coach to coach Tag to Tackle? So - you do not even have to be Level 1 to coach this game. All you should have done is complete a Tag coaching course (and even that is just "advised"). Just bear that in mind - you do not ever need to have been taught how to coach tackling. Or scrums, mauls, rucks etc. etc. Or anything else that involves any sort of bodily contact. Just tag. Nothing else. Okay - you can read the complete, official rules here - what follows is a summary and commentary (mine and the county coach's). This just says that the aim is to score tries - 5 points each. No kicks as all kicking is banned (Rule 12). So far, so unobjectionable. Except... remind me, someone, what is women's rugby's BIGGEST weakness? Could it just possibly be kicking? So why are we banning kicking? I can understand it with boys as otherwise all they will do is kick. But girls NEVER kick - and, frankly, so weak is kicking in the female game we should be positively encouraging it, otherwise in a few years time England will be in the same state that France are a the moment. You are forced to conclude that whoever wrote these rules has never seen girls play rugby. All games to be 6 or 7 aside - no more, no less. Effectively half a rugby pitch - like the old U14s. 15-20 minutes each way - which will fit neatly into a PE lesson. Conventional stuff - with the extra rule that the ball cannot be handed to another player. Penalty - a free pass. This, therefore, appears to kill off any attempt to set up mini-rucks or mauls, and positively encourage - even demands - wild passes from tackled players of the sort that most coaches desperately try to discourage in the "real" game. However it doesn't as it is contradicted by rule (7)(e)(iv) which says a team-mate can "rip" a ball from a team-mate after a tackle. What is the difference? Exactly? Also this is the only time that a scrum would be awarded, but instead the penalty is a free pass. So why in section 11 do they have an a to k about scrums!!?? These happen to start a match, after a foul, after a ball has been ripped from an opponent or team-mate (though this is contradicted by parts of Rule 7), or where more that one player from either side joins a contact. The opposition retire 7 metres, the pass can only be made when the referee calls play, and the receiver is not allowed to run onto the pass. i. What is the difference between grabbing and ripping? ii. There is no mention of how the game is restarted after a try is scored or when the ball goes into touch. a) Only the ball carrier can be tackled - and they cannot hand-off the tackle. 7(a) says that the ball cannot be "pulled out the the ball carrier's hands" - but this is contradicted by 7(d)(ii) "If the tackle is on the feet the tackler may contest the ball by grabbing it". b) A tackle is any contact below the shoulders "which results in a grip", whether or not the player goers to ground. The referee then calls "TACKLE". ... they are encouraging the tackler to grab the shirt and swing the player around and, without any training (or without training from a qualified coach) girls are allowed to attempt a conventional tackle around the legs. c) The tackled player can pass straight away, or drive on until they are brought to a standstill and then pass. d) The tackler must keep hold of the tackled player, may grab the ball (see above), or block a pass, and must get up if the tacked player goes to ground. So mini two-player rucks and mauls ARE allowed - and can be coached by people only trained in tag. Still not worried? When is a pass "made" - note the word is not "attempted"? Surely a pass is not "made" until it is completed? So the offside line remains the tackled player until it leaves the tackled players hands, or until it arrives at a team-mate, rolling slowly along the ground for some distance, perhaps? Conventional stuff, much of it covered by Rule 7. However you have to be behind the kicker at a kick-off, and for any kicks in open play. Hang on a minute - what kicks? Kicking is banned, isn't it? A long page of rules and details made irrelevant by the fact that no infringement results in a scrum being awarded! ...but does not say what replaces line-outs. See comment on Rule 6 above. The above are some of the obvious errors, most of the rest don't make much sense either!! have clearly not been so much as proof read never mind tried out for real. appear to allow full tackling, and small-scale rucks and mauls - but which can be coached by people who have had no training or knowledge whatsoever in any of these techniques. What will happen when a team coached by a tag coach (taught to grab and hold shirts and bodies) comes up against a team coached by a Level 2 (taught to tackle legs - and tackle properly)? What happens when a player is "tackled" but is still on their feet - and is then hit by a support player from the defending team? At speed? When they cannot hand off, have not been taught how to be tackled - or how and when to go to ground - by their tag-trained coach? Any new game has to be trialled - properly and widely. Not just at one or two clubs where they can come to a mutual understanding about what the rules mean, but at several clubs where all they have to go on are the rules. The rules themselves must be re-written to eliminate all of the problems highlighted above (and any more that have been missed). And no-one with only a tag coaching qualification should be allowed anywhere near them, apart from as a support to a properly qualified coach who is - at a minimum - Level 1. Otherwise someone is going to get hurt. Seriously. And very different weather anticipated than last year! To get everyone in the Sevens spirit, here's a video that has recently appeared on Scrumhalf Connection. It shows two of the world's top women's sevens teams - China and the Netherlands - meeting at this year's Hong Kong 7s. Enjoy! In 2007 Spain were thrown out of the Six Nations, a tournament they had been part of since 2000. Why? Well, it was not performance (three third places in seven years isn't bad), nor anything due to the support they had given to visiting teams (far from it), or anything else they had done. No. Spain were chucked out because from 2008 the Women's Six Nations came under the same sponsorship deal as the men's Six Nations, and therefore the management of the Six Nations Council, which meant that the women's tournament had to reflect the men's. And Spain were not in the men's Six Nations, so out they went to be replaced by Italy (who the Spanish women have never lost to!). So - in short - Spain's women were cast into the wilderness because their men's team were not good enough. Rarely in the history of sport can there ever have been a more unfair, unjustified, openly sexist, and indefensible decision - but Spain had to live with it because the tournament sponsors were waving cheque books - and justice and money rarely make the most natural bedfellows. Especially if the only victims are rugby players that speak Spanish. Nicola Hoole scores for England against Netherlands. Now, four years later, the time has come for Spain to show the world how wrong that decision was. A year ago they beat Italy in the final, and this year they have already beaten Scotland and France. And now its England. Well, England "A". But an "A" team containing 11 players with first team caps, so this is no 2nd XV. Though an England A beat a Spanish team in March, that was a warm-up friendly in front of a handful of well-wishers in Guildford. Tomorrow will be very different - a fired up Spanish team with four years of injustice burning inside playing in front of a big - probably close to capacity - crowd at the University of Coruña. It should be amazing. Read this ScrumQueens interview with the Spanish coach to see how determined they are. Hertfordshire's England World Cup star Michaela Staniford also anticipates a tough battle. When you start getting phone calls from parents from outside Hertfordshire that you have never met because they (and their daughters) are so desperate and upset about a new initiative, and the unhelpful (or worse) responses from RFUW, that they have no-one else to turn to you know that something is seriously amiss. And you start to wonder why the heck any sports organisation that cares for its sport should keep driving forward in the teeth of so much uproar. And then you hear that similar things are planned for boys too and you really wonder what on earth is going on - what has caused such a crisis of confidence in a sport. And then you learn about national funding for sport, and how it has been cut, and the requirements that Sport England have now laid down for sports to continue to receive funding. And about how this is dependent on increasing the numbers of children playing a sport. Numbers. Its all about numbers. How can you increase numbers - fast and significantly. Answer - get more schools playing. One year group in one new school taking up a sport can give you over 100 "new" players in one go - much more than any club initiative could manage. The fact that 95% (minimum) of these children will never play the sport outside their schools is irrelevant - the "number" of "players" goes up, and that is all that matters. Obviously the barrier rugby faces is that it is a complex contact sport with an undeserved reputation for being dangerous, that cannot be properly taught by teachers with little or no knowledge about the game in a few PE lessons - so the answer is to come up with a new, watered down, game that you can call "rugby", but with all the "difficult" bits removed. So - no tackling, no mauls, no rucks, no line-outs, no opposed scrums, no kicking. "Pretend Rugby" might be a good description. However, it looks like rugby, so we can call it "rugby", so we can say all these children are now playing "rugby", so can we have the money now, Sport England? The problem is that this can only be done if you sacrifice all those girls (and, shortly, boys) who have learnt the "real" game in mini rugby - but (reading various responses) that is a sacrifice that Twickenham have decided is acceptable, because the loss of a hundred or so mini players nationwide will be balanced by the extra thousands of "new players" in schools. Trouble is that the players that are being lost - sacrificed - are real players. Players with dedication and years of experience. Players around whom teams and clubs are built. Players who will (or would have) been the heart of county, regional and - in around 10 years time - national squads. Future England players. They are being thrown away in favour of notional, theoretical, temporary, players playing only because their PE department sets up teams. Players who will - in the vast majority of cases - only play because they are told to and who will stop playing as soon as their school stops pushing them. The vast majority will not carry on playing outside school - not least because they will find that "real" rugby is a very different game from "pretend" rugby. That is assuming there is anywhere outside their school they can play because this will kill junior girls' club rugby stone dead. Boys club rugby can survive on slightly reduced numbers as a heck of a lot of boys play, but girls' club rugby survives on a knife edge at the best of time - losing half a dozen (or even less in many cases) girls would make most club teams non-viable - and this initiative will take at least that number away. And in the long term? Well, in a nutshell, wave goodbye to England ever winning a World Cup again. FIRA 2011 continues to throw up some thrilling - and surprising - rugby. On Monday it was Spain shocking France by a single point - yesterday it was the turn of the Dutch, who beat Italy 22-17 in a fantastic game that see-sawed from one side to the other before a last second (and hotly disputed) Dutch try won the game. The result of this was to promote the young and experimental Netherlands team to a 5th place play-off against Sweden, renewing one of the game's oldest rivalries. The teams first met in 1984 - long before England first made it onto the field - and Netherlands have won 13 of their 15 meetings. Sweden pushed Spain close, going down only 18-3, though the Spanish were obviously keeping their powder dry for Saturday's final. Opponents England eased past Russia 39-0. Seven tries - which is good - but only two converted, which slightly worrying. The day was rounded off with a 109-3 victory by France over Finland - 17 tries in a rout that did not let up from the 2nd minutes to the final whistle. France will now take on Italy in the 3rd place game, while the tournament will be rounded off with Russia facing neighbours Finland for 7th place. Spain make a mockery of the "Six Nations"
The Six Nations does not include the best six women's teams in Europe - that was the clear message from Day 2 of this year's European Trophy. The match of the day - and one of the most exciting women's internationals ever - was in Pool A where the champions and hosts, Spain, took on "France A" - despite its name, a team almost indistinguishable from the team that finished runner-up in this year's Six Nations. Playing with the help of a strong breeze the French dominated play at the start - Spain being unable to get out of their own half. The far larger French pack also dominated and, with the help of the wind, France opened the scoring with a penalty on 13 minutes. However, from the restart Spain up their game. A lineout in the French 22 results in a well rehearsed Spanish maul - and a try! The crowd goes mad. But the lead does not last long - another penalty on 35 meters, in the centre of the field, and its 5-6 to France. Then, a few minutes later, French forward power results in a try for the visitors and, though the Spanish have plenty of ball, at the end of the half it remains 11-5 to France. on Spain, after 1500 on Day One. meet England in the final on Saturday? As it is Spain need only beat Sweden and they are in the final. Sweden saw off Finland competently, if unspectacularly, 20-0, to wrap up at least third place in Pool A. Pool B was rather more predictable, England A seeing off Netherlands 36-0 - all points coming in the first half. England seemed to use the second as opposed practice, bringing all the reserves on and trying out different formations. Italy A similarly eased past Russia 34-0. As a result - short of some miracles tomorrow - on Saturday Netherlands should be trying to avoid the wooden spoon against Finland, Russia will be playing for 5th against Sweden, France will be aiming for third against Italy, and Spain will be up against England for the title... and who is to say that they won't be successful. England A: Does Mike not talk to his team? Are the England A management and team over in Spain not on speaking terms? I just ask as, talking about his next opponents, Mike is quoted today as saying that Netherlands "are very much an unknown quantity for us". Now, leaving aside the fact that The Netherlands is not exactly that far away, have been playing international rugby for longer than anyone else (including five years longer than England), and that finding out about Dutch women's rugby is really very, very easy (there was a pretty good article on Dutch rugby on ScrumQueens a couple of weeks ago) there is one overwhelming reason why Mike should have very good intelligence about his next opponents. Only two weeks ago, as a warm-up for this tournament, Netherlands played against the British Army. And who plays for the British Army? Why, none other than England A flanker Jane Leonard. The opening day of this year's European Trophy was one of mixed results - one of the closest games in the history of women's international rugby being followed by one of the most one-sided. England A sneaked to a 5-0 win over Italy in a game that appears to have been riddled with mistakes. The game began well, full-back Kay Wilson scored following good work by both forwards and backs - but after that things went less well. Handling errors - the largely unspoken Achilles heel of the senior squad in recent years - were so serious that they are a major feature of the RFUW's own match report (normally a model of positive spin). "They did miss many more opportunities than that in the first half" the report says, and goes on to highlight a few. This appears to have raised the confidence of the far more experienced Italian opposition (an "A" team in name alone!) allowing them to overcome the problem that Italian teams seem to have had when facing teams called "England", and by the end of the game it was the women in white who were very much on the defence. But defend they did, winning ugly in the end - which is always said to be the sign of a good team. As a result they should now reach the final as only the Netherlands and Russia are in their way. The former would normally be seen as something of a threat at this level, but without most of their leading players (now contracted to play only Sevens) the Dutch lost to Russia in their opening game. It was another tight game - 17-10 - but the Dutch have never lost to the Russia before, or even come close. Of course this might - and probably does - also indicate some improvements in Russian rugby, but regardless of how much Russia have have improved it is unlikely that they will trouble England A. While the games in Pool B were tight, Pool A was a different matter. The hopes for Sweden repeating their impressive performance against France A at the World Cup would have been slight even before most of the Swedish squad either retired or decided to concentrate on Sevens. As a result France's 40-3 win was what most observers expected. France were "A" in name alone - this was the first XV - though there were some positional experiments. Most striking was the movement of captain Marie Alice Yahe from scrum-half to full-back, where she was also given all the kicking duties. This proved to be something of a success as she hit the target with three of her four kicks - a far better success rate than most previous French kickers - though having arguably the world's best scrumhalf not playing in that position is a high price to pay. A similar win was expected for Spain against the novice Finnish XV - what was not expected was a cold, clinical massacre. 14 Spanish players crossed the line in their 119-0 win - the fourth highest margin of victory ever - and that in a game that was only 70 minutes long instead of the usual 80 (Trophy games are 35 minutes each way, for reasons no-one has ever explained). Spain and France meet in the next round of games, on Monday, and that should reveal who is most likely to face England in next Sunday's final.